Vet techs provide the front-line care animal patients need to recuperate from injuries and illnesses and maintain good health. They play a crucial role in running a veterinary clinic or hospital by greeting clients, assessing a pet’s condition, and assisting the veterinarian with everything from setting broken bones to taking X-rays. Technicians work under the guidance and direction of a vet to enhance the well being of cats, dogs, exotic pets, farm, and zoo animals and ensure their comfort during medical procedures. Enrolling in a certificate or two-year associate’s degree program is the first step in becoming a veterinary technician. There are fifteen colleges in the U.S. offering four-year bachelor’s degrees in veterinary technology. This pathway is especially desirable for candidates who wish to work in research laboratories. Most vet tech programs include a hands-on element such as an externship, preceptorship, or practicum, enabling students to enhance their clinical skills by managing pets and performing laboratory procedures under supervision. The care and education technicians offer makes a tremendous difference in a pet's quality of life, both in the animal’s home environment and the medical setting. A career as a vet tech requires stamina and strength because you will spend long periods on your feet. You will also frequently be called upon to restrain and lift large animals. Vet techs have contact with X-rays, body fluids, needles, and other potentially hazardous substances, so they must understand safety procedures and follow them carefully to avoid illness or injury. Most states require mandatory licensing of vet techs. 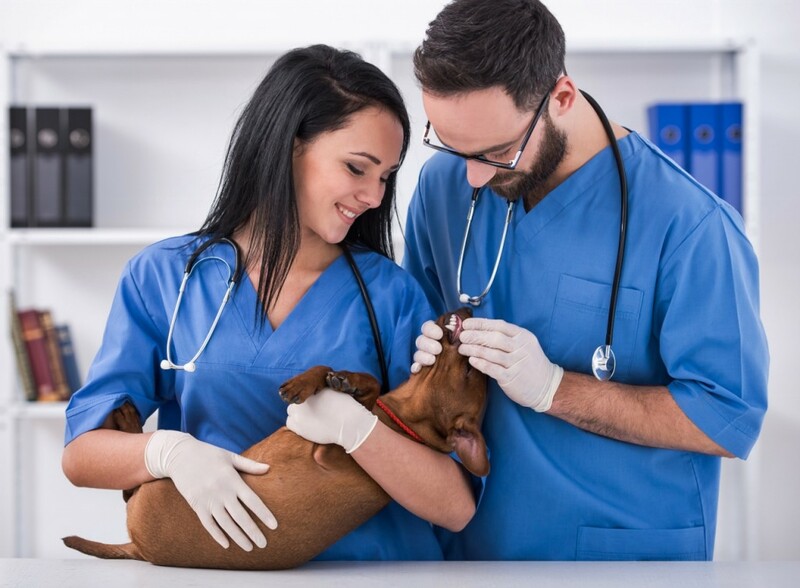 Vet techs desiring employment in research settings should investigate earning a specialty certification through the American Association for Laboratory Animal Science (AALAS). Although requirements vary, candidates must complete a state-approved education and training program and then pass an exam. Testing is frequently waived for those who have passed the National Veterinary Technician Exam. Vet techs should be pleasant, interactive, empathetic, and compassionate animal lovers with a natural enthusiasm for promoting the welfare of animals. Their work requires strong interpersonal and verbal skills to express approaches to pet owners and other members of the veterinary team clearly. A tech relies on self-control, poise, and emotional stability to work effectively with challenging animals and people, maintain composure during emergencies, and handle the pain, suffering and loss of pets. Vet techs must follow safety procedures down to the last detail because they have regular contact with dangerous materials and animals. Experienced vet techs frequently assume supervisory roles, directing the work of the new techs. Some choose clinical specializations, such as zoo keeping, critical care, dentistry, biomedical research, clinical pathology, or surgery. Many vet techs continue their education to become veterinarians. Their work experience and certification is highly beneficial throughout the extremely competitive vet school admissions process. The average salary for vet techs is $30,500 annually, with a range between $21,270 and $44,490 depending on education, experience, and specialization. Salaries are usually higher for techs working in research laboratories, government agencies, and universities. Those in practices such as anesthesia, preventive dentistry, surgery, and animal behavior earn above-average salaries. Owners want more specialized care for their pets, and this need for complex procedures is expected to expand the job market for vet techs by 30 percent by 2022. This increase is significantly faster than all other occupations and is related to the technological innovations that enhance the health of animals. An abundance of reasons exists for become a vet tech. The most basic is a love for animals. If interacting with animals and helping them live better lives is important to you, then you should consider a career as a vet tech..
Do you recommend products to your clients? If yes, would you like to learn how you can get paid, earn residual income and even free products for your recommendations. Become a petPro rep with a holistic 5 star pet network marketing company. They have a wonderful program for vet techs.